who gives to all liberally and without reproach; and it will be given to him. God loves it when we ask Him for things we need. In Matthew 7:7-11, Jesus encourages us to keep on asking, keep on seeking, keep on knocking and our Heavenly Father will give us what we need. 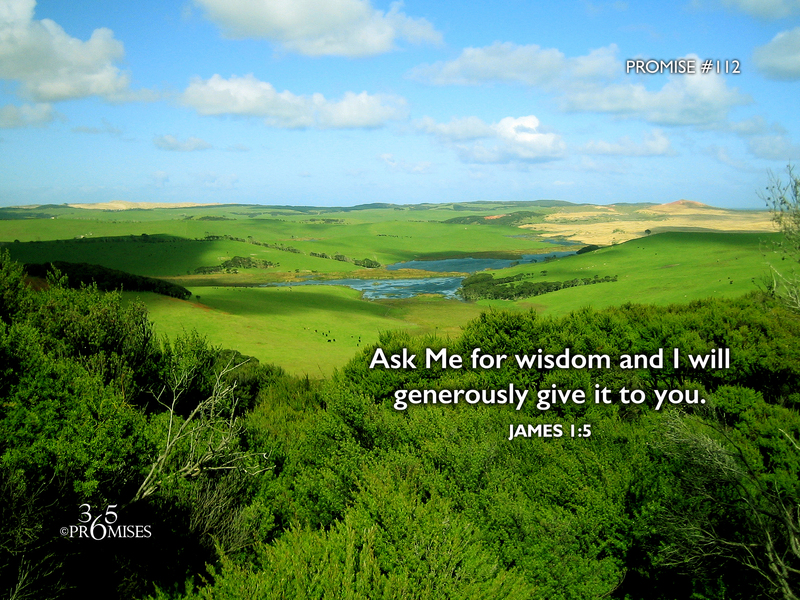 In today's promise, we read that we can ask God for wisdom and He is glad to give it to us. We all need wisdom to navigate through this life. So what wisdom do you need today that you do not yet have? The New International Version Bible says James 1:5 this way... If any of you lacks wisdom, you should ask God, who gives generously to all without finding fault, and it will be given to you. Simply ask your Heavenly Papa for the wisdom you need and He will generously give it to you without finding fault in your asking. God is a good Father who gives good gifts to His children. As a matter of fact, every good and perfect gift comes from Him because He is the Father of Lights (James 1:17). My prayer is that we would all live our lives looking to our Dad for heavenly wisdom, knowing that He is ready, willing and able to generously pour out all the wisdom that we need when we need it.